The 5.8-magnitude earthquake struck about 2.30pm with no immediate reports of damage. An earthquake has rocked Queensland near Hamilton Island, with Geoscience Australia recording it at magnitude 5.8. Queensland Police said there were no immediate reports of damage. We're aware of an #earthquake which has affected parts of Central & North Qld. Police have not had any reports of major damage. Journalist Bridgid Glanville was on holidays in Hamilton Island when it struck and said she grabbed her kids and ran outside while others said they felt the tremor in their rooms. 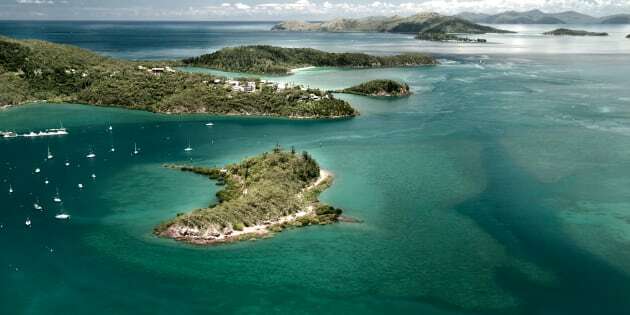 On holidays on @HamiltonIsland grabbed kids ran outside as everything as an earthquake just hit. Wow that was unexpected! Scary moment to be sitting on a balcony of a high rise apartment in an #earthquake on Hamilton island! Tremors were also felt in Townsville and Townsville Bulletin reported hundreds of people were temporarily evacuated from the CBD while the all-clear was given. The centre of the earthquake was in deep water off the coastal town of Bowen but Geoscience Australia said it was not "potentially tsunamigenic" -- meaning it was not likely to cause a tsunami. A seismograph from Mount Surprise shows the earthquake.